Afghanistan’s intelligence agency says the Afghan Taliban supreme leader, Mullah Omar, died two years ago in a Pakistani hospital. 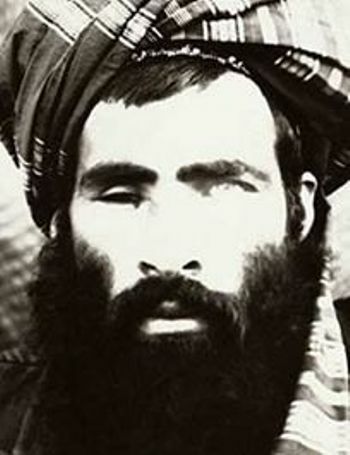 Abdul Hassib Seddiqi said that Mullah Omar had died of health problems at a hospital in Pakistan. Afghanistan’s government says information on his death is “credible”. The latest reports of Mullah Omar’s death are being taken more seriously than previous such reports. The Taliban is expected to issue a statement today. Sources at the Taliban’s two main councils in Quetta and Peshawar in Pakistan told the BBC they were in intensive talks to agree on a replacement for Mullah Omar. A statement from the office of Afghanistan’s President Ashraf Ghani said that it believed, “based on credible information”, that Mullah Omar died in April 2013 in Pakistan. The Afghan government, elected last year, has embarked on a peace process with the Taliban. In its statement, the government called on “all armed opposition groups to seize the opportunity and join the peace process”. A security official in Pakistan, the country hosting the talks, told AP that the claims of Mullah Omar’s death were mere “speculation”, designed to destabilise the negotiations. Pakistan’s government and security services have not formally commented on the claims so far. They have always denied that Mullah Omar was in their country. The White House said it believed reports of his death were credible.